Even if I’m not a big New Year’s resolution kind of person, you can’t really escape it. Social media and magazines are full of reflections on the past year and how to improve the new one. We will all be better, more beautiful, and more efficient in 2016! Eat less, play more sports, improve your French skills, and… and… So the stress to be “more something” creeps up on you. January is also a difficult month for another reason. It’s one of the darkest months of the year, even though we’re past winter solstice and the weather is seldom kind. You just want to fast forward to Spring! After sitting a week in the office you really want to spend your weekend outdoors but the pouring rain doesn’t allow for that. However, what does cheer me up in January is…. TULIPS!! In Finland winter comes with snow, which is much nicer than the darkness, but week in and week out of white… Is white even a color? You soon get bored of white and spring is still far away. 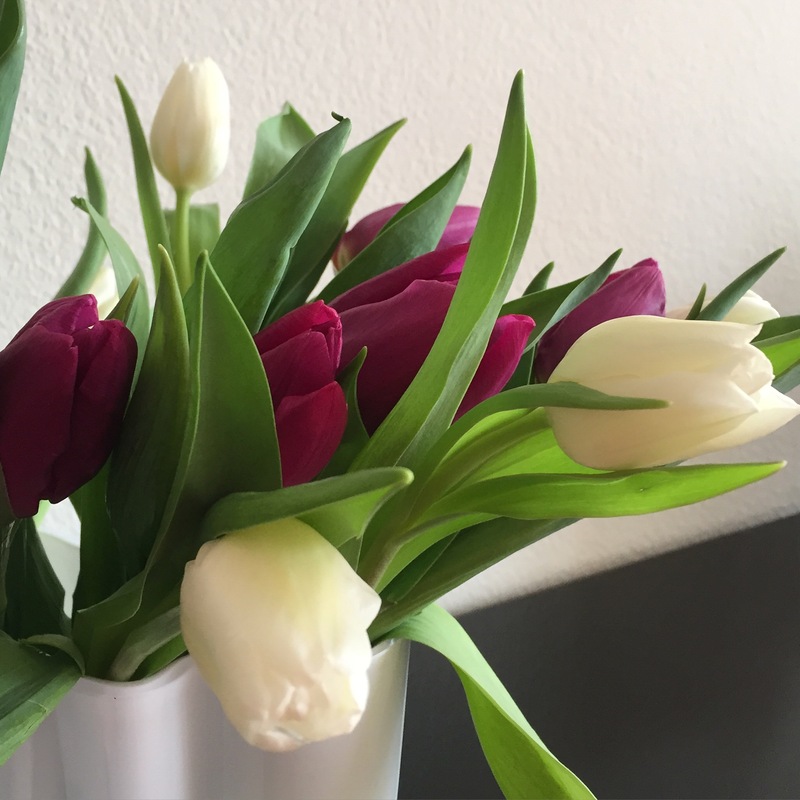 So there is nothing that brightens the day more than tulips, dozens of them, in all the different colors. Now I’m also looking forward to what TM will bring into my new year. With all my googling of TM and after my introduction talk, I know that stress relief is one of the benefits. I can’t wait to try it out! 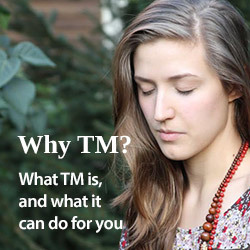 The introductory talk took us through all the benefits of TM, for example increased creativity, better focus, improved self-esteem, health benefits such as lower blood pressure and stress relief. Our teacher Guenael Boucher showed us many scientific research results demonstrating that it really works. Guenael is such an engaging person! A quantum physicist and monk for over 30 years, he’s traveled the world teaching TM and he has so many great stories to share. The official research results were interesting, but in the end they are merely numbers in a presentation. What convinced me more were the stories Guenael told us, like him sharing the results of teaching TM to 12,000 prisoners in Senegal or helping a drug addict to learn TM. I’m now starting my path to a hopefully better work-life balance, a life that is less stressful. I’m not expecting the stress elements to go anywhere, my day to day life isn’t changing and I don’t even want it to, I enjoy my job, but at least I’m hoping to be able to handle it better. The next step is the four-day course to learn how to meditate. Guenael is such an inspiring person so I’m sure he’s the right teacher for me. I also already know why it didn’t work out when I was sitting on a beach in Bali and tried to “just be”. In our preparatory talk Guenael compared TM to other forms of meditation and I learned that if you concentrate on “just being”, you are still focusing and that keeps your mind active, hence, you don’t meditate, or at least not the TM way.